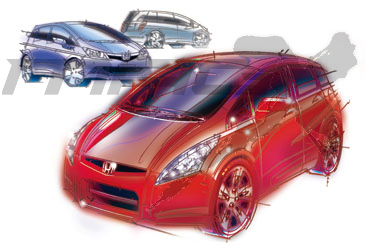 The next-gen Fit (aka Jazz) Hybrid is expected to be launched in September 2013 and the main targets are improved profitability and environmental performance. Development of compact cars for emerging markets will help automakers in the development of next-gen small cars in order to reduce costs. The new Fit Hybrid will get a new engine with a displacement of 1.5 L, from the 1.3 L of the current one, which will operate using the Atkinson cycle. The new engine is expected to power also the normal model as well. The assist of the IMA system will be increased from 10 kW to 24 kW.